Hot of the presses! 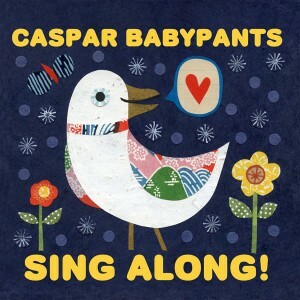 New Caspar Babypants album ‘Sing Along!’ details now available, and also a new earlier release date! “Simple, fun, acoustic, sing a long songs for kids ages 0-6 and their parents is what the fourth album from Caspar Babypants is all about. SING ALONG! is an invitation to sing and smile for the whole family. Caspar Babypants is also known as Chris Ballew the twice Grammy nominated songwriter and lead singer for the Seattle rock and roll band The Presidents of the United States of America. Caspar Babypants makes high quality simple music with integrity that is rooted in American folk traditions mixed with a light sense of humor and imaginative fun. Influences include Dan Zanes, Ella Jenkins, Elizabeth Mitchell, Spider John Koerner, The Beatles and Beethoven. You can also buy this album in advance from the Caspar Babypants shows. Sing Along was quickly sold out on first show selling the new album (Ballard Farmers Market, June 26, 2011).